Eleaf Mini iStick is a tinier and simplified version of the original iStick. Its length is only 52mm (approximately 2.1 inches) making it a perfect fit for the palm of your hand and easy to store in your pocket even while an atomizer is attached. The battery capacity is 1050mAh despite its diminutive stature and it can handle up to 10W. The battery display indicator on top allows you to easily see remaining charge. With the Mini iStick, you will be able to carry a pocket friendly device while still enjoying a satisfying vape! Optimized out of the box with Next Level Tips. If matched with Phant tips, keep device below 5 watts. If matched with Sovrin tips, keep device below 4 watts. MAY work with Erba tip but it will taste burnt. Filled vape cartridges not included and are sold separately. 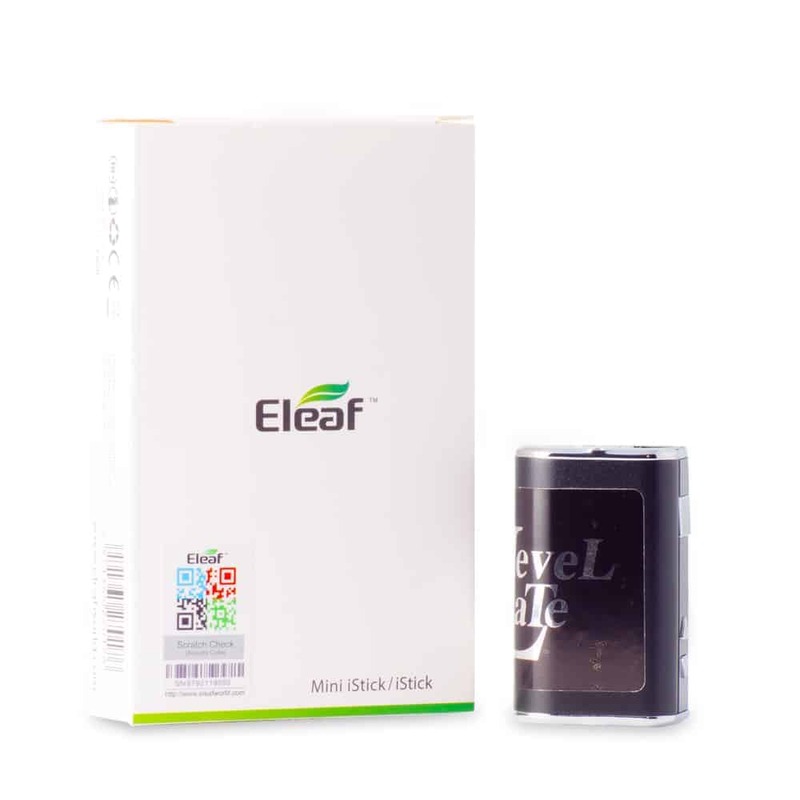 2 reviews for "Eleaf by Next Level Distillate – Mini iStick"
Very compact mini. Being new to this type of vape I you tubed what all the buttons were for as the instructions were not as clear for me. With a mini tutorial I was good to go! Nice showing of life left in battery, as well as how long your inhales are. Quite like this . This is my second rechargable vape and nice to have a few options. Wow, just amazing little vape… Pretty straight forward… ON/OFF = Press 5 times the buttom.